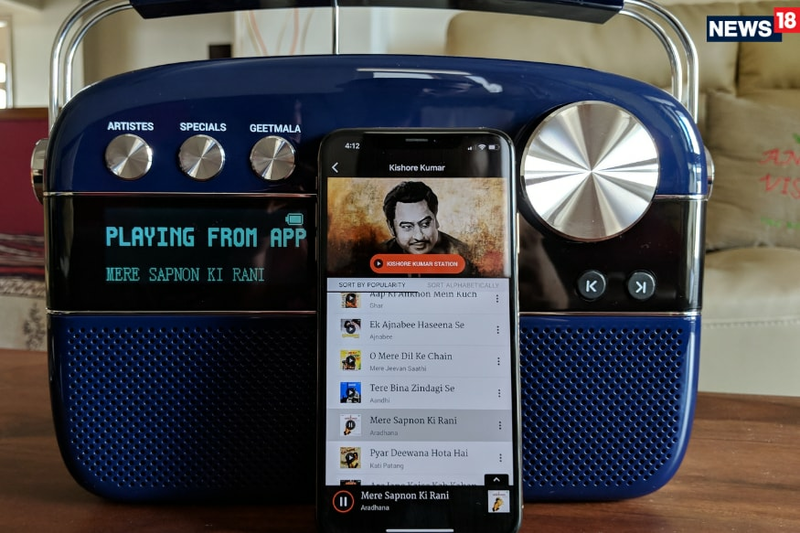 The Saregama Carvaan remains a very unique proposition, and the even more music that it packs in makes the app functionality all the more useful. In terms of the design, the Carvaan Premium looks much the same as its elder sibling. On the front is the display, three physical buttons for Artists, Specials and Geetmala. There is a large round dial for navigating between artists, albums, songs etc. The polycarbonate body is well built, and it has been put together with great thought. The testament to that fact are the well-marked physical keys, with the labeling quite easy to read. On one side spine are the source options, such as radio, Bluetooth, aux-input and the Saregama app. On the other side is the volume control and a 3.5mm headphone jack. The biggest change is the grille mesh design behind which sit the audio speakers—this looks a lot better now, though the design in the standard Carvaan didn’t exactly look bad. 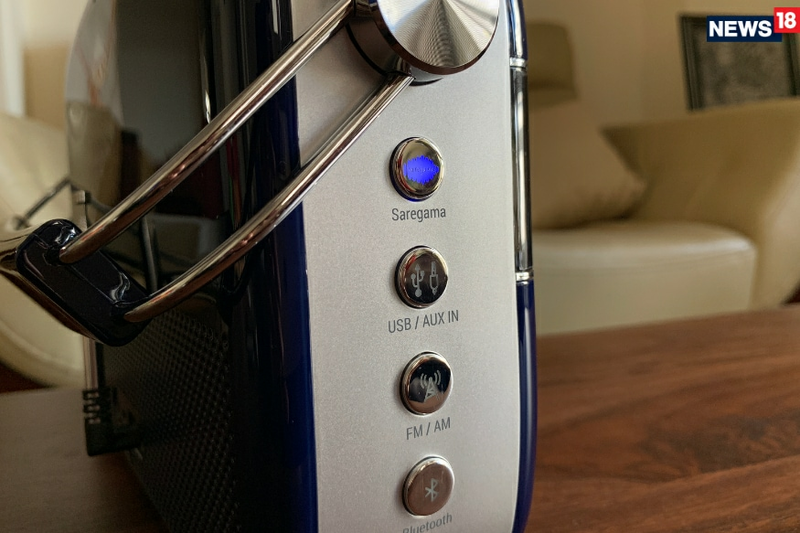 Apart from the slight design change and the extra content, the other aspect where the Carvaan Premium differs from the standard Carvaan is the ability to pair with the Saregama Carvaan. Basically, you download the Saregama Carvaan app (free for Android and iOS) on your phone, and when your Carvaan is paired and nearby, you simply stream music to it through the app. The Carvaan app on the phone has the entire collection of songs that are already there in the Carvaan Premium, but this makes it infinitely better to search, cue songs and more. Basically, we stumbled at first because we changed the source on the Carvaan Premium itself by pressing the app option on the side spine of the speaker, and then attempted to stream via the app—however, the device wouldn’t get detected by the app. What works however is that irrespective of the active source on the Carvaan Premium at the time, you need to start the playback from the app to get the source to switch automatically. Battery life on the Carvaan Premium is robust too. This lasts around 6 hours on a single charge, with the volume set around 30% for personal listening sessions. It charges via the micro USB port, which means most smartphone chargers can be useful too if you are carrying this along for travels. The Saregama Carvaan really has no competition. It is a one-of-its-kind device that just brings back a huge chunk of the music catalogue from the years gone by. The app capabilities add versatility to the experience, and it is always good to have that option. This was, and still remains, an ideal gift for your parents or friends who love the music from the simpler times.